I talk about my dogs a lot, they are after all my babies. Without them I don’t know what I would do with my days. Frankie is my early warning system if I’m going to be ill ( when I say ill I mean sicker than normal). He knows three days before it happens. Its not something he’s been trained to do its just something he’s always done. His warning is quite subtle and to the untrained eye would probably mean nothing. Sometimes I don’t even notice it until it becomes more persistent and I can’t use the bathroom without him barging in! He is stuck to my side constantly in the three days before I crash and continues until I’m out the other side of it. 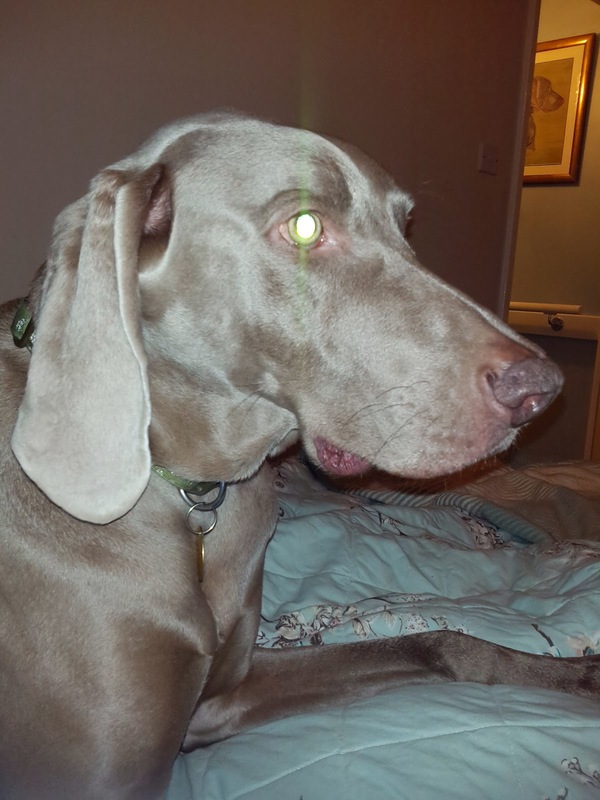 I worry that its an awful lot of pressure for him to deal with and its no wonder he is so protective of me that he will occasionally bark at my husband if he comes into my room whilst I’m under his watchful gaze. This is nurse Frankie when he was on duty two weeks ago. He puts his legs on head on me so that I can not move without him being aware of it. He’s going to be 8 this year and a more soppy loving dog would be difficult to find. Although if you met him out and about you would think he was a wild barking brute. Give him a bonio and things change dramatically! Frankie is my dog and has been right from the start. Willow, Farnkies sister is a different kettle of fish. I think she would have been happier in a house where she was the only dog. The runt of the litter who we didn’t expect to live as she weighed 100g less than all the other pups in the litter had attention lavished upon her from the day she was born. Willow believes that humans purely exist to ensure she is cuddled and adored from the minute she wakes until the moment she sleeps. Everyone who visited the house ends up with willow stuck to their side having to cuddle her! She is the leader of the pack and can be quite bossy. She’s not a massive licker, to receive a kiss is quite an honour. She’s a nervous dog taking after her mum Mollie. She likes to bark and has on occasion barked herself hoarse. Luckily for the neighbours her barking mainly takes place in the car. This is Willow sharing the sofa with me after settling down for yet another cuddle. Willow doesnt have a favourite when it comes to my husband and I. She is happy as long as someone is cuddling her. She is 8 this year and is Frankie’s sister. They came from our 2006 litter born in our spare room. A litter of nine pups, three girls and six boys. Mollie is the grand dam, mother to 18 puppies, two litters and Frankie and Willows mum. She’s best friends with Frankie and still to this day cleans Willow and Frankie’s ears every morning! Mol will be ten this year and over the last twelve months has suddenly started showing her age. 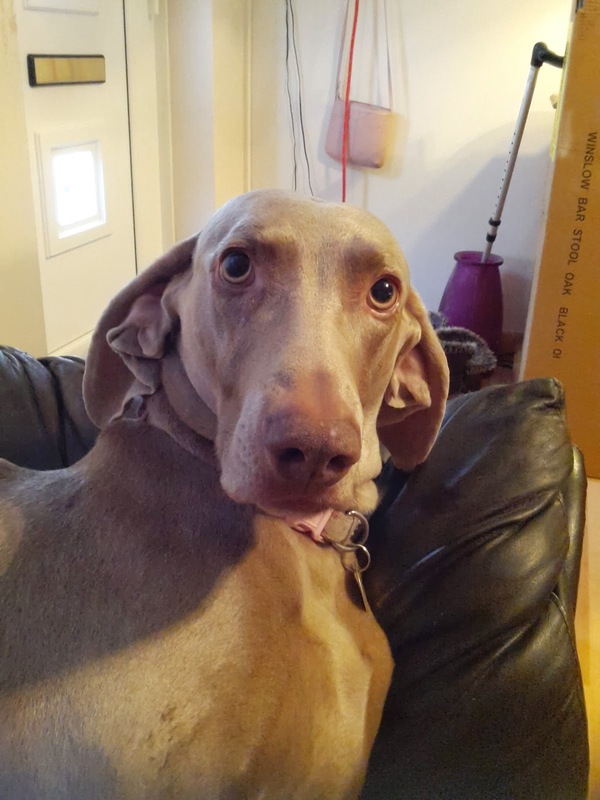 Earlier in January she was diagnosed with the early stages of canine dementia. The symptoms started very slowly and probably wouldn’t have been noticed initially had it not been that I am with them 24/7. She stares off into space intently gazing at nothing, occasionally gets lost in the house and has now started running off out of the house every evening when my husband gets home from work. Even though its just two to three metres from the house to the car she has to put on a lead to ensure she doesn’t run off. Mollie is my husbands dog through and through. The only time Mollie has been my dog is when she was in season or when she was pregnant. During those hormonal times she would want me all the time. It was very special to have her wanting and needing me much to my husbands disgust. The dementia is slowly robbing her of her mind however there has been something good come out of it though as she now is much more affectionate towards me and her behaviour has reverted back towards that of a puppy. There have been a few accidents in the house but as long as she is happy we aren’t too worried. She can grow old and batty like we all will at some point. 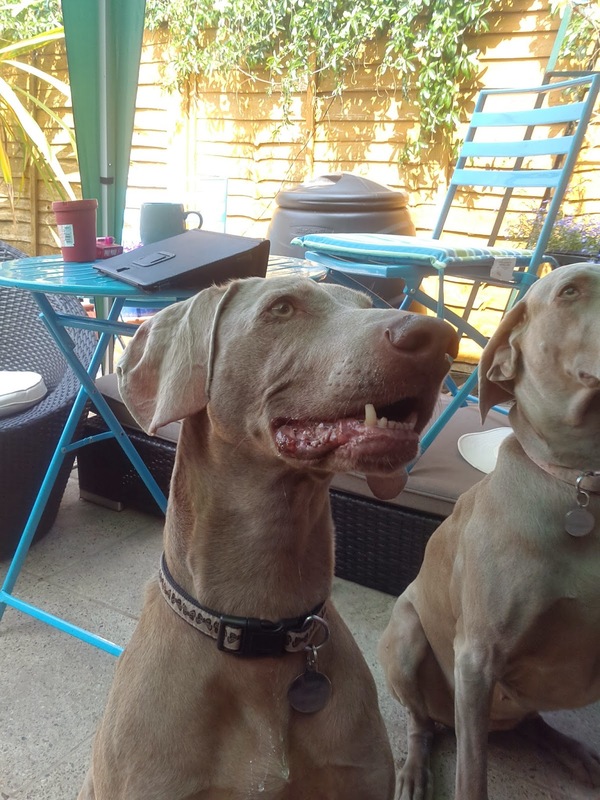 So these are my babies, three weimaraners who are very much loved and adored. ← Medical terminology – I know I tend to use it a lot! They really are three adorable dogs. I experience Willow's need to be petted and cuddled every time I visit! Thank you Ellie, she was a bit of a nightmare yesterday wasn't she! She's tucked up in bed with her daddy along with Frankie and Mollie whilst daddy has nap!